Museums for Free? Yes Please! Museums for Free? 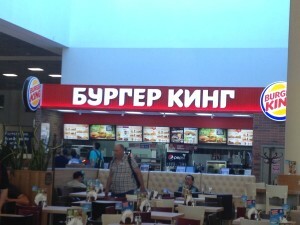 Yes, I will, Please! My heart was pounding. It was this time around last year. “What do you mean it’s free?” I asked with eyes open. “Museums in DC ARE free,” the girl with blonde highlights who later became my best friend replied. It was just a few hours earlier that day that I had given my two days [worth of] lunch money to the Bologna Museo Civico Archeologico. This was amazing news for someone who would be in DC the next year. I felt like I had started to like that city already. Not surprisingly, one of the first things that I did after arriving in DC was to visit the Smithsonians. A museum freak like me is hard to please, I was thinking that no museum was able to astonish me after the Louvre, Uffizi or the Museum of Broken Hearts in Zagreb. But you know what – I talked too soon. The Smithsonian Museum chain is one of the most well organized, fun and interesting museums that I have ever been. There are 18 different Smithsonian Museums and galleries in DC and almost all of them are free to the public. But my favorite one is the American History Museum – one of the biggest ones in the Mall. There are over 30 exhibitions and three collections at the museum. Exhibitions have an incredible variety, from ‘Lego American Flag’ to ‘First Ladies’, or ‘SparkLab’ where you can touch a harmless electric flow bowl and make your hair go crazy. 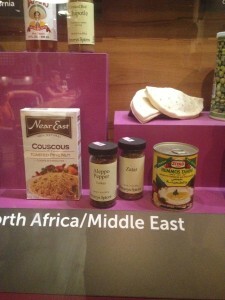 But among them, the ‘Food: Transforming the American Table 1950-2000’ exhibition was the one that I liked most. Big city life, things need to be done really quickly; there are meetings to catch, classes to attend and millions of empty stomachs to serve, sound familiar? The fast food industry created its giants starting from 60’s. At the exhibition, you’ll witness how the change in the balance of power in international relations has changed food trends. 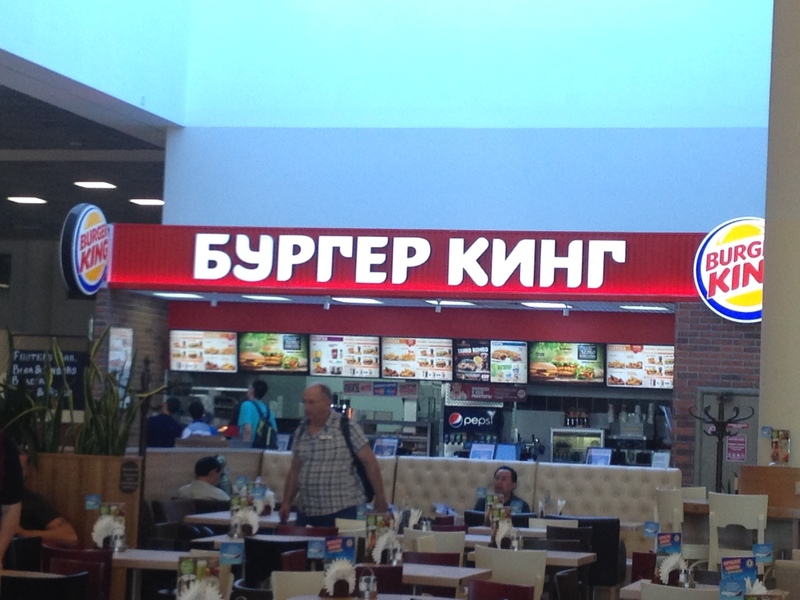 Russian McDonalds lines of the 90’s…That’s what I am talking about. Another example is when immigrants from all over the world after the 60’s brought their eating habits with them. 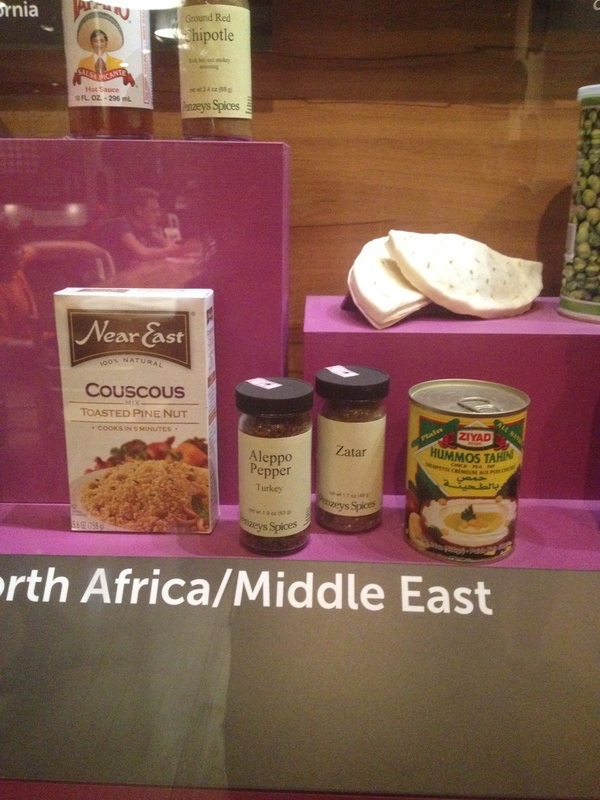 At the ‘Resetting Table’ section you will see how millions of American’s developed a taste for once exotic food made by once exotic people who were now neighbors. No more spoilers. I hope you will enjoy your time if you visit before the notorious cold starts! It was such a nice Sunday attraction and a chance to learn how cheese got in a can (no, seriously, like coke!). Stay hungry, stay foolish and have a great month everyone! 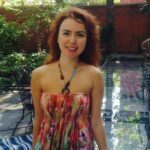 Gizem is a second year MA student at Johns Hopkins University SAIS and her concentration is on International Political Economy and Economic Policy. She was born in Bursa, a small town near Istanbul, Turkey (with only a population of about 3 million!) and has her college degree from Sabanci University in Istanbul in International Studies. Simultaneously she graduated from the Royal School of Dance in Classical Ballet and Piano. Gizem has had various jobs, from being a journalist to the assistant of the Ambassador in the Turkish Embassy of Croatia. She now wants to continue her career in DC. She loves traveling and learning new languages; having visited almost every country in Europe. Gizem also loves ice skating, climbing and cooking, but dance is her life.